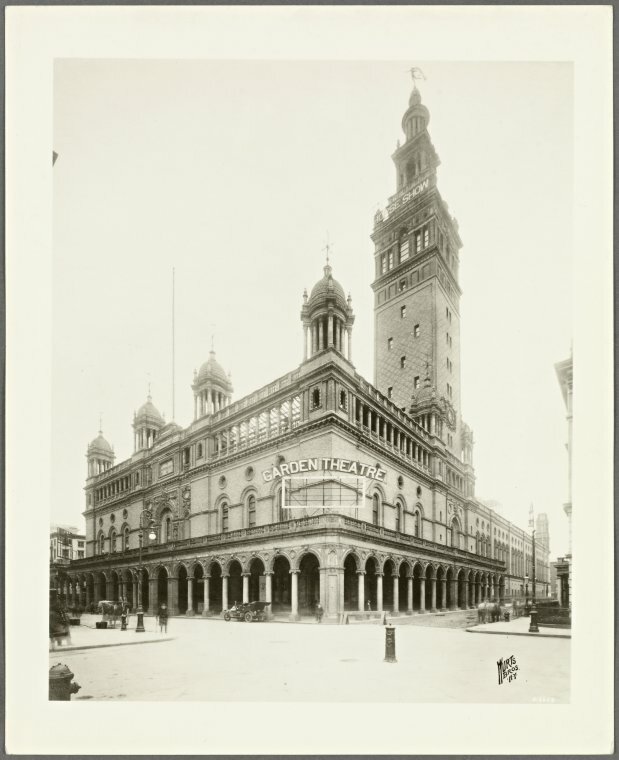 The second Madison Square Garden designed by Stanford White of McKim, Mead & White c. 1890 at Madison Avenue and East 26th Street in New York City. White kept an apartment in the Garden and the rooftop restaurant was the site of his murder by Harry K. Thaw in 1906. Click HERE for the NYTimes article on the shooting. The building was closed in 1925 and demolished to make way in 1926 for Cass Gilbert's New York Life Building. Click HERE and HERE for more on the second Madison Square Garden. Photo from the New York Public Library. Oh, the cruel irony that the current Madison Square Garden succeeds both this building AND Penn Station. There's a moral in there somewhere. Indeed. The first thing that comes to mind would be to not assassinate some of the more talented architects in the country. Good place to start. White would have been in his late 70s by the 1930s had he not been murdered. It would have been interesting to see what an old Stanford White would have been doing with himself and what impact (if any) he would have had at the time.